The Ethiopian Theater Professionals Association, organizers of the festival, created a video documentary of the four days of activity, September 24-27. Other organizers included the Addis Ababa University College of Performing & Visual Arts, Ethiopian National Theatre, Sundance Institute East African Theater Program Ethiopian Alumni, and Performance Studies International. Artists from 11 countries attended Crossing Boundaries: Tanzania, South Sudan, Egypt, Rwanda, United States, Burundi, Ethiopia, Israel, Kenya, Uganda, and Sudan. The University of Minnesota Dance Program presents a three-week Summer Dance Intensive, June 20-July 9, 2016. This intensive offers a first ever experience for its participants: one week each with Twin Cities dance companies Ananya Dance Theatre, Black Label Movement, and Shapiro & Smith Dance, and their respective artistic leaders, Ananya Chatterjea, Carl Flink, and Joanie Smith. Each company will tailor its residency week to the unique qualities and aesthetics of each organization. There are two sections for the intensive, SYMBIOSIS: Dance That Moves & Thinks: Section 1 (2 credits) is for University of Minnesota dance majors and will provide 1 performance credit toward their degree. Section 2 is open to anyone 16 years of age and older, no audition required. Flow from a yogic half-moon balance into flexed feet grounded jumps into footwork marked by asymmetric rhythms. Experience Yorchha™, ADT’s unique contemporary Indian dance technique that brings together movement principles from Odissi, the classical Indian dance technique, Chhau, the East Indian martial art, and Vinyasa yoga. ADT artists will lead participants through a rigorous technique class (9:30am-11am), share the company’s choreographic process that intersects dance with social justice goals, and teach sections from ADT’s repertory (11:15am-1pm). There will be an informal showing on Friday June 24, 1pm. Learn and move with BLM Artistic Directors Carl Flink and Emilie Plauche Flink and their ballistic movers during a rigorous daily schedule that will challenge your physical and creative limits. Each day begins with a contemporary movement technique class, followed by a short partnering laboratory, and ends with a focused, two-hour repertory rehearsal. Flink will give a presentation on his dynamic collaborations with scientists and creation of TED Talks during the week. Schedule for the BLM week: 9:30 – 10:45 a.m. 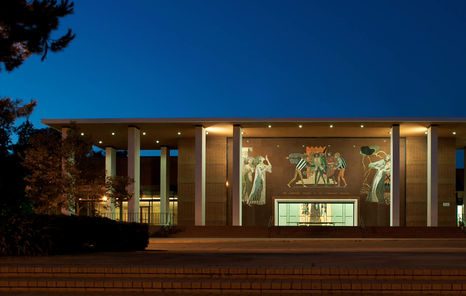 Contemporary Technique; 10:45 – 11:00 a.m. Partnering Laboratory; 11:15 – 1 p.m. BLM Repertory; June 29 at 1 p.m. BLM Presentation on Bodystorming and Unique Collaborations with Scientists; July 1 at 1 p.m. public repertory showing. Shapiro & Smith Dance performs tales of beauty and biting wit that run the gamut from searingly provocative to absurdly hilarious. 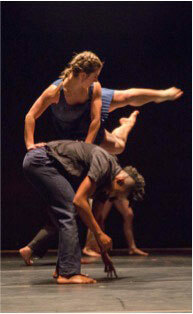 Dancing with breathtaking physicality and emotional depth, SSD has earned an international reputation for virtuosity, substance, craft, and pure abandonment. Classes in contemporary technique and repertory will be led by Laura Selle Virtucio, Scott Mettille, and Joanie Smith. The intensive week will re-stage “Hands,” a work that examines the power and beauty of people’s hands. Schedule for the SSD week: 9:30am-10:30am Contemporary Technique; 10:30am-1:00pm SSD Repertory; July 9 at 12pm public showing. 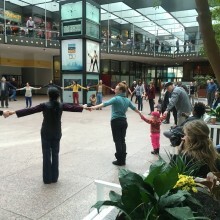 Tuition, registration, and housing information: https://theatre.umn.edu/dance/summer; 612.624.5060; umndance@umn.edu. 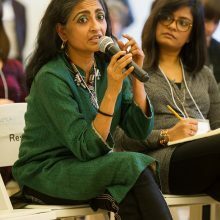 Ananya Chatterjea in a discussion on cultural equity in dance education, Feb. 28, 2016. Photo by Christopher Duggan. 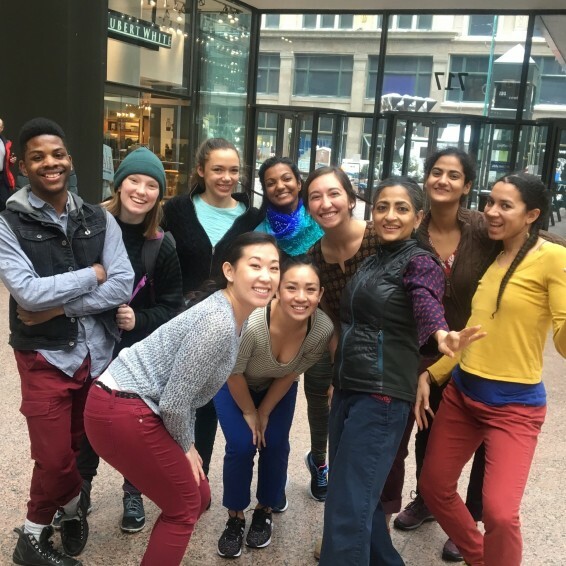 Ananya Chatterjea participated in a discussion on cultural equity in dance education, moderated by Camille A. Brown, at the Dance/NYC 2016 Symposium, February 28. 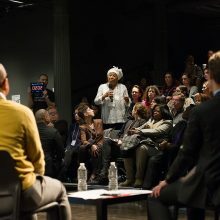 The 2016 Symposium hosted 500 participants to consider connections between the art form of dance and New York City, and to explore questions of cultural planning, affordability, equity and inclusion, public-private partnerships, and the future of technology. More than 1,200+ dance makers and companies work and operate in the New York metropolitan area. 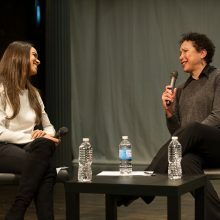 Misty Copeland, principal dancer, American Ballet Theatre, and Virginia Johnson, artistic director, Dance Theatre of Harlem. 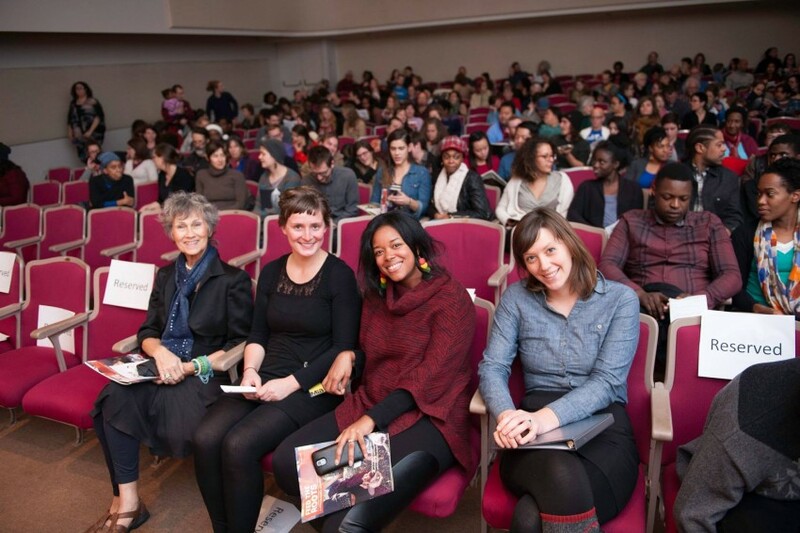 Dance/NYC 2016 Symposium, Feb. 28, 2016. Photo by Christopher Duggan. 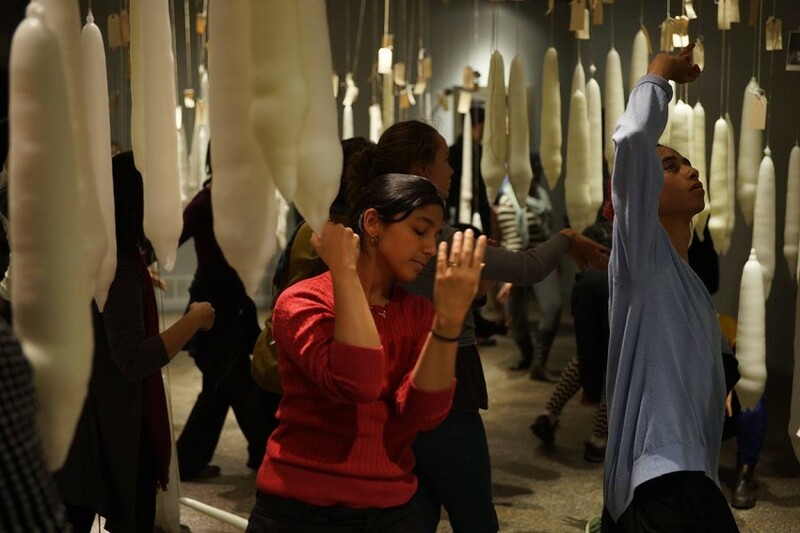 The full-day gathering of New York’s dance community, held at the Gibney Dance Center, aimed to share information and innovation and to stimulate awareness, interest, and ongoing engagement in dance. The Symposium made use of multiple studios for panel discussions, case studies, interactive workshops, a networking lunch, and more. Darren Walker, president, Ford Foundation, and Lane Harwell, executive director, Dance/NYC. Dance/NYC 2016 Symposium, Feb. 28, 2016. Photo by Christopher Duggan. 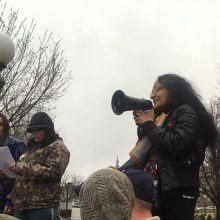 In fall 2015, the Humanities Institute at Scripps College, Claremont, California, sought to address and confront some of the devastating effects of intersecting forms of violence committed against people of marginalized identities in contemporary United States. 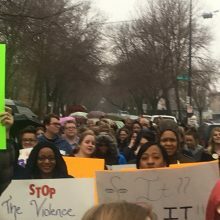 In spring 2016, the Institute welcomed scholars and artists who use their skills, intellects, and talents to further discussions of systemic and overt oppressive violence, to further the work of dismantling systems of inequality and social injustice, and to provide pathways to how activism and social justice can better shape our world. 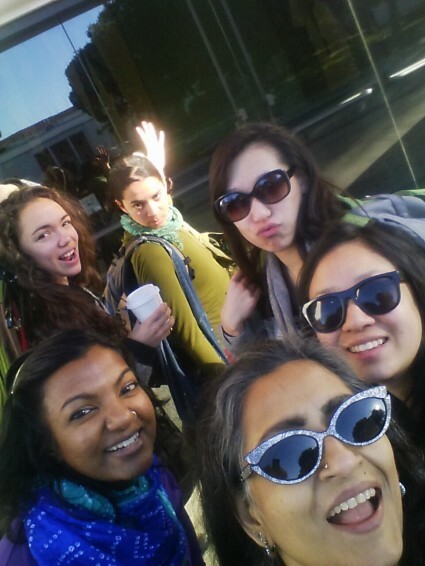 Ananya Dance Theatre was invited to participate in performance and residency activities, Feb. 5-8, 2016. 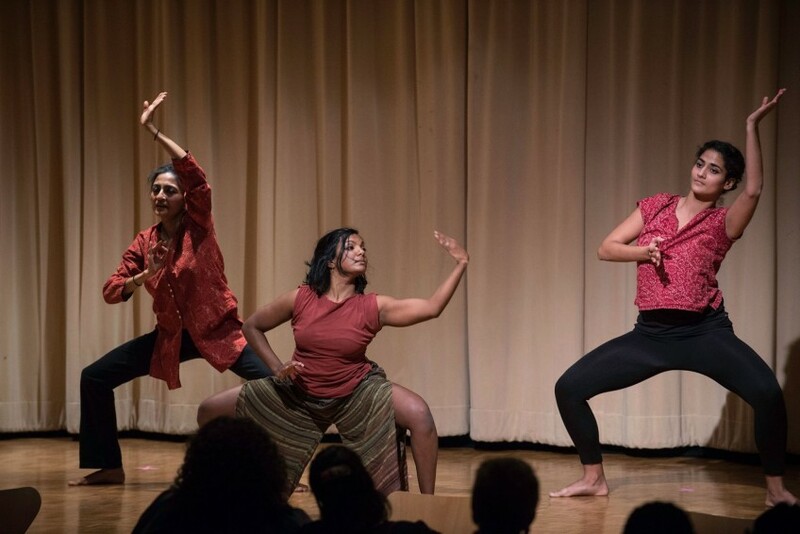 In a performance that celebrates the intersection of classical Indian and folk dance traditions, street theater, and social justice, and that places women artists of color at the center, Ananya Dance Theatre presented Roktim: Nurture Incarnadine at the Garrison Theater. 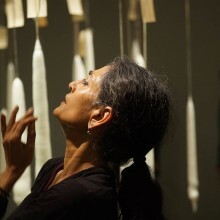 Ananya Chatterjea, ADT’s artistic director, and the artists in the company identify as cultural activists who create “people powered dances of transformation™.” Ryan Hagan, writing for the San Bernardino Sun, related the discussion of 34 dancers with Chatterjea and her company about the role of dance, social justice, and activism. 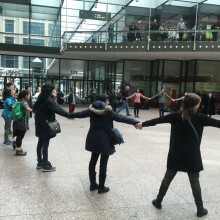 In this workshop, co-sponsored by the Office of Dean of Students, participants worked through games and embodied exercises to create a sense of community and connection, and with improvised movement and text to create choreographies that shared the participants’ stories. This particular exploration was based on the theme of healing at a time of violence. ADT Dancers. Back: Renée Copeland, Lela Pierce, Magnolia Yang Sao Yia. Front: Chitra Vairavan, Ananya Chatterjea, Kealoha Ferreira. 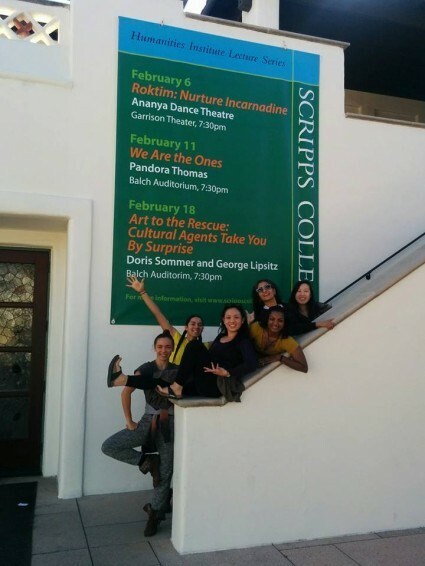 The program of ADT activities was presented in partnership with the Alexa Fullerton Hampton ’42 Endowed Speaker Fund, Scripps College Humanities Institute, the Office of the President and Board of Trustees at Scripps College, Scripps Communities of Resources and Empowerment, President’s Advisory Committee of Diversity and Inclusion, Scripps College Anthropology Department, Scripps College Hispanic Studies Department, Core Curriculum in Interdisciplinary Humanities,s Asian American Student Union, Pacific Basin Institute (Pomona College), Asian Studies Program (Pomona College), Office of International Initiatives (Pomona College), and the 7 College Asian American Advisory Board. “Table 13”: Roundtable discussions included representatives from Asha for Education, Ananya Dance Theatre, and Bollywood Dance Scene Twin Cities. Asha raises funds for teachers’ salaries, child nutrition, and instructional materials at six schools in India. Nearly 200 people gathered for the 2016 Connect India event held at the Minnetonka Community Center, Feb. 6, 2016. Ananya Dance Theatre’s board chair, Gina Kundan, and managing director, Gary Peterson, stepped out to attend. Purnima Desari, classical dancer, performed as part of the Connect India festivities. Here, with ADT’s Gary Peterson (l) and Gina Kundan (r). 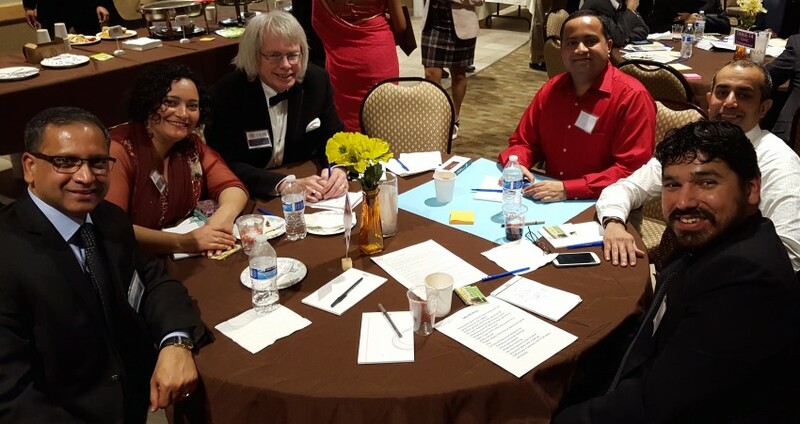 Connect India is a platform for all Indian organizations in Minnesota to share missions and goals and to seek ways to cooperate and collaborate. It is sponsored by the 40,000 member India Association of Minnesota. 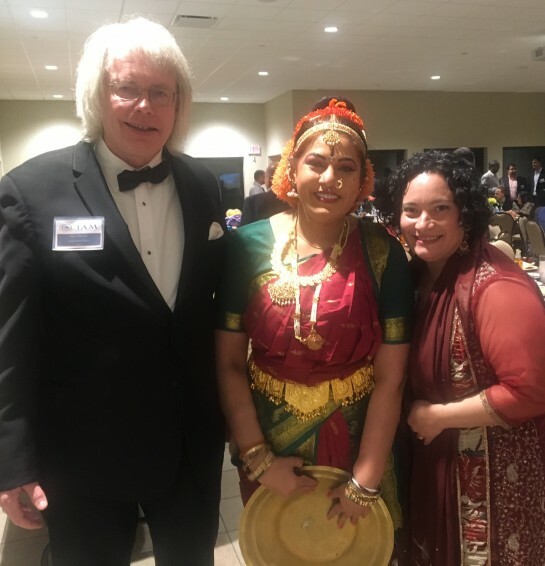 The evening’s festivities included a keynote address by Minnesota House Minority Leader Paul Thissen, who visited Delhi and Hyderabad with the U.S. State Department in October 2015. 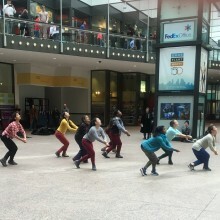 The third in a series of four “Radical Recess” performances in public spaces around downtown Minneapolis included Ananya Dance Theatre, Feb. 5. 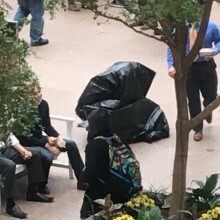 Our dancers opened the lunch-time event at the IDS Center Crystal Court, performing “Emerging from Shadows,” stories of people who push through the darkness into which they have been cast to emerge into voice and light. 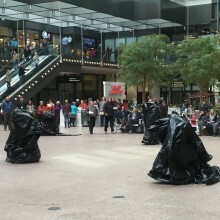 The site specific works by 10 choreographers in the series are presented by Made Here – A Project of Hennepin Theatre Trust, Anderson Windows & Doors, and City of Minneapolis Great Streets. 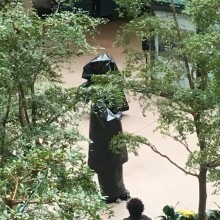 April Sellers and Laurie Van Wieren curated the line-up of performances at Mayo Clinic Square, City Center Atrium, IDS Crystal Court, and Loring Park. 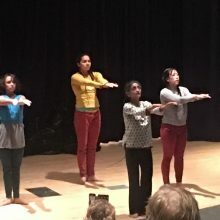 Members of Ananya Dance Theatre performed at CAAL Ignites: Education and Economics, sponsored by the Coalition of Asian American Leaders, at Metropolitan State University, St. Paul, December 14. 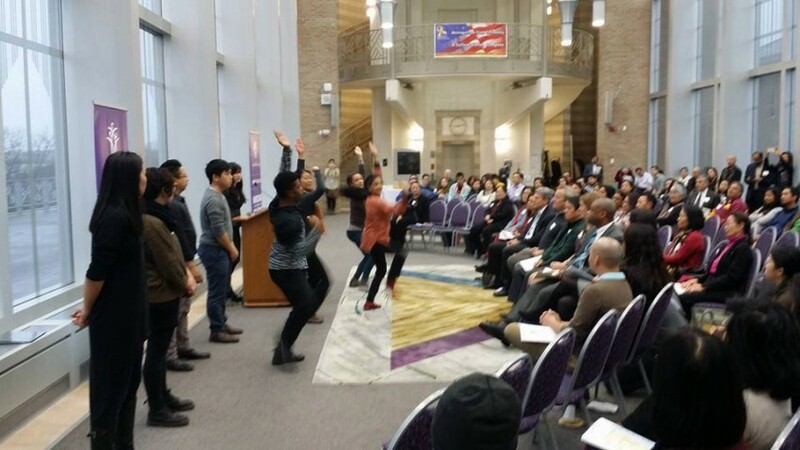 CAAL invited Asian American leaders and institutional decision-makers to see, understand, and explore the actions that can be taken to move forward on education and economics with Asian Minnesotans in 2016. 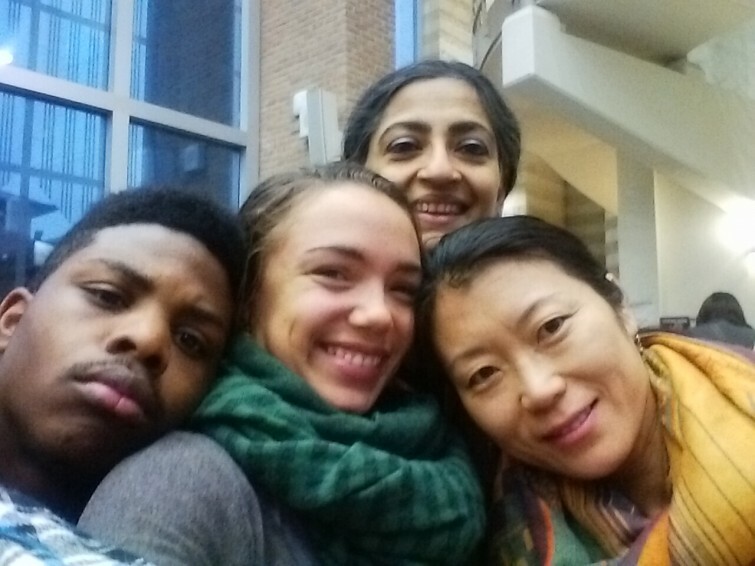 Jay Galtney, Renée Copeland, Ananya Chatterjea, Hui Wilcox at Metro State University, Dec. 14, 2015. 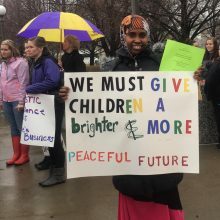 In 2014, CAAL engaged over 300 Asian Minnesotan leaders who informed and prioritized issues that they believed could be worked on together for the good of the whole community. Over 20 issues were identified. Further conversations helped prioritize education and economics as the two issues that are critical for the community’s future prosperity. 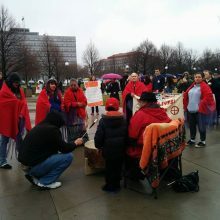 They then formed two work groups, who have been learning more about the issues, the data, and most importantly, listening to the people behind the numbers. 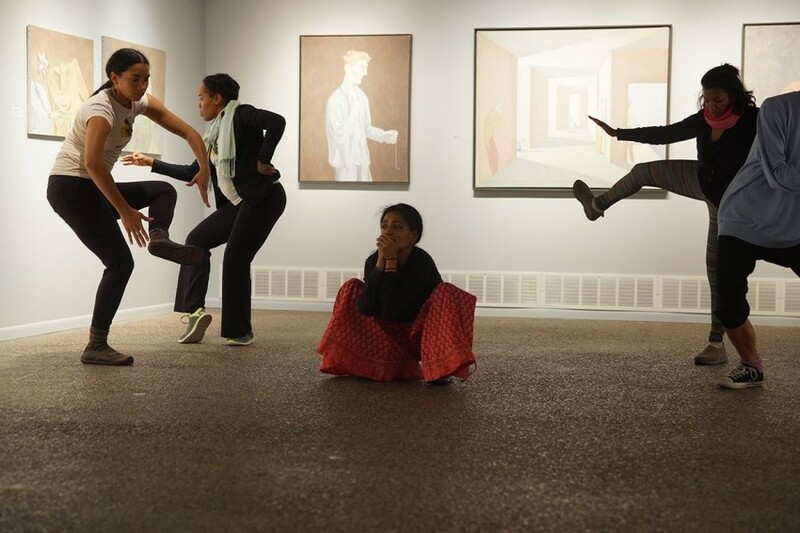 Ananya Dance Theatre performed artistic interludes for the SOUL Food Monologues show at the Minneapolis Institute of Arts, December 11. The performance was part of an evening culmination of the Hope Community Food Listening Project: a two-and-a-half year process involving local organizations and more than 400 people in community conversations about food access and food justice in the Phillips community of Minneapolis and beyond. The Feed the Roots Community Food Listening Report provides insights into the experiences and creativity of Phillips community residents, serving as a call to action for organizations, funders, policy makers, and other committed to change rooted in community. Food Justice Activist and Urban Goddess, LaDonna Redmond, has led several local food leaders through a StoryHealer workshop, designed to uncover and promote the powerful food and justice stories of everyday people working for change. At its core, the SOUL Food Monologues is about authentic expression, creating community, and transforming experiences from grief, trauma, pain, into awareness, insight, wisdom. These elements meld together to create a heart-centered, soul-based opportunity for deep understanding and healing to occur.